House Judiciary Committee Approves Internet Tax Bill, 7/16/03. July 16, 2003. The House Judiciary Committee approved HR 49, the "Internet Tax Nondiscrimination Act", by a voice vote. This bill is sponsored by Rep. Chris Cox (R-CA), and cosponsored by 132 other members of the House. It would permanently extend the moratorium on internet access taxes and multiple and discriminatory internet taxes that was created by the 1998 Internet Tax Freedom Act (ITFA). It would also eliminate the grandfather provision that allows states that had taxes in 1998 to continue those taxes. 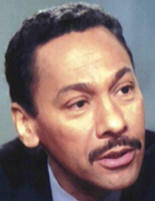 The Committee also approved an amendment offered by Rep. Mel Watt (D-NC) that provides that the moratorium applies to telecommunications services, "to the extent such services are used to provide Internet access", thus clarifying that the ban on internet access taxes extends to broadband DSL and wireless services provided by phone companies or others. The original moratorium lasted for three years. In 2001 the Congress extended the moratorium. It is currently set to expire on November 1, 2003. Rep. Chris Cannon (R-UT) advocated passage of the bill. He is the Chairman of the Subcommittee on Commercial and Administrative Law, which approved the bill on May 22, 2003. This Subcommittee held a hearing on the bill on April 1, 2003. See, story titled "House Subcommittee Holds Hearing on Bill to Make Internet Tax Moratorium Permanent" in TLJ Daily E-Mail Alert No. 635, April 2, 2003. He stated that "this bill does not touch the issue of collecting sales taxes on remote vendors". When the Congress was considering extending the moratorium in 2001, some members argued that the two issues should be addressed together. Rep. Cannon argued that they should be dealt with separately. Several members argued that states are facing revenue crises, and that sales and use taxes need to be addressed by the Congress. For example, Rep. Bill Delahunt (D-MA) said that "states are facing the biggest budget crisis since the great depression". He added that states are losing revenues because of transactions that are taking place on the internet. He added Congress could remedy this situation by passing legislation that addresses the Quill decision. The U.S. Supreme Court ruled in Quill v. North Dakota, 504 U.S. 298 (1992) that state and local taxing authorities are barred under the Commerce Clause from requiring remote sellers without a substantial nexus to the taxing jurisdiction to collect sales taxes for sales to persons within the jurisdiction. However, the Court added that Congress may extend such authority. Rep. Sheila Lee (D-TX) fought a solitary battle against the bill. First, she offered an amendment the would have preserved the grandfather clause. It failed on a voice vote. She was the only member to vote for it. Then, she offered an amendment to phase out the grandfather clause over several years. It too failed on a voice vote. She was the only member to vote in favor. Technological Neutrality and New Services. The Committee adopted an amendment offered by Rep. Watt (at right) that he stated would provide "technological neutrality". He explained that the existing moratorium provides a ban on internet access taxes, but expressly excepts telecommunications services. He stated that some states currently impose a tax on DSL service when it is sold as part of a package with phone service. Thus, internet access, when provided by DSL, is taxed, while other technologies for providing broadband internet access are not taxed. He stated that his amendment would clarify that DSL service is covered by the ban on internet access taxes. Subsection 1101(e) lists exceptions to the moratorium. Subsection 1101(e)(3) contains definitions. Subsection 1101(e)(3)(D) defines "Internet access service" as follows: "The term 'Internet access service' means a service that enables users to access content, information, electronic mail, or other services offered over the Internet and may also include access to proprietary content, information, and other services as part of a package of services offered to consumers. Such term does not include telecommunications services." Section 1104 is the general definitions section. Subsection 1104(5) defines "Internet access" as follows: "The term 'Internet access' means a service that enables users to access content, information, electronic mail, or other services offered over the Internet, and may also include access to proprietary content, information, and other services as part of a package of services offered to users. Such term does not include telecommunications services." Rep. Cannon stated that the Watt amendment "restores the Internet Tax Freedom Act to its original intent". He also argued that allowing taxes on internet access would aggravate the digital divide. Rep. Zoe Lofgren (D-CA) also spoke in support of the amendment. She stated that the rollout of broadband service is important for stimulating the economy, and that the bill, with the Watt amendment, will further this goal. Rep. Steve King (R-IA) raised the subject of voice over internet protocol (VOIP). He suggested that "if we prohibit the taxation of voice over IP" then this would put "landline" voice service providers at a disadvantage. Steve Berry of the Cellular Telecommunications and Internet Association (CTIA) stated in a release that "This is a big win for the wireless industry -- especially for wireless technologies that are becoming the pathway to the Internet. The Internet has changed dramatically in the past five years, and this amendment helps ensure that the legislation reflects both current and future realities ... Consumers are best served when Internet access providers are competing on a level playing field. Technological neutrality is a key factor in making Internet access available to all Americans." Reaction. Secretary of Commerce Donald Evans and Secretary of the Treasury John Snow released a joint statement after the mark up. They wrote that "The Internet is an innovative force that opens vast potential economic and social benefits of e-commence and enables such applications as distance learning, telemedicine, e-business, e-government and precision farming. Government must not slow the rollout of Internet services by creating administrative barriers or imposing new access taxes. Nor should government stifle e-commerce through multiple or discriminatory taxes. Today's Committee vote is welcome news and will help ensure that the full Congress will have time to pass, and the President to sign, legislation extending the moratorium before it expires on November 1, 2003." Rep. Cox, who is the sponsor of the bill, but not a member of the House Judiciary Committee, issued a release which states that "A vote on the House floor and action in the Senate Commerce Committee are expected soon."